The programmatic mandate to evoke an English club, made wood-paneling obligatory. The paneling, a modern reinterpretation, strongly influenced by the Secessionist period, establishes the primary materiality and graphic for the apartment. Space and object are simultaneous and interchangeable, mutually reinforcing and dense. 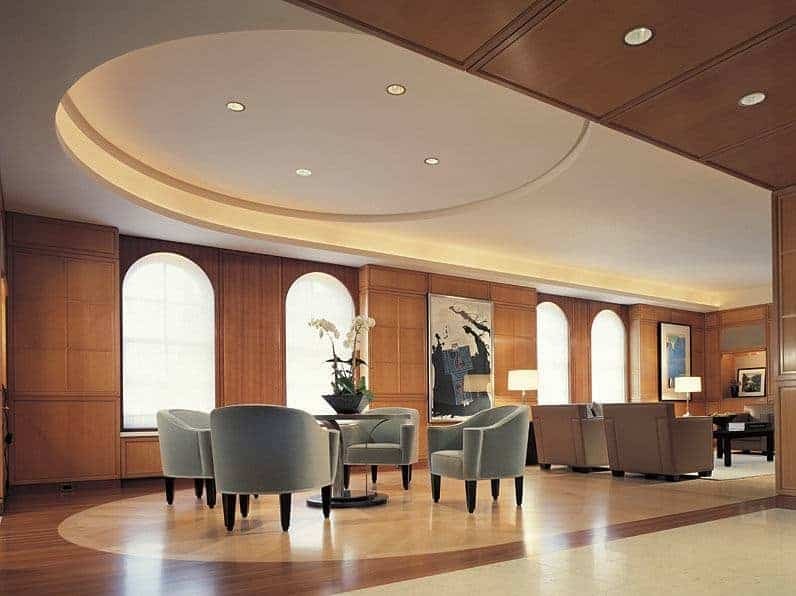 A perceptual and literal layering of space is created by the carving from a solid to a void and defined by the articulated, inlaid, and modulated steamed beech and cherry wood paneling. The spaces are at once similar yet varied, dense yet open, articulate yet calm. The skylit/laylight gallery is the referential, defining space, connecting and accessing, visually and literally, all the spaces in the apartment. It represents the transformation of “hall,” hierarchical and modulated over its length by the varying intersections and transitions. This apartment was a unique design opportunity which resulted in a resolution that would otherwise never have come to without the client’s mandate. It was provocative and inventive.